A special evening program on Feb. 7 honored the 30th anniversary of the passing of Rebbetzin Chaya Mushka Schneerson, of righteous memory, opening the 26th annual Kinus Hashluchos, the International Conference of Chabad-Lubavitch Women Emissaries in Brooklyn, N.Y. 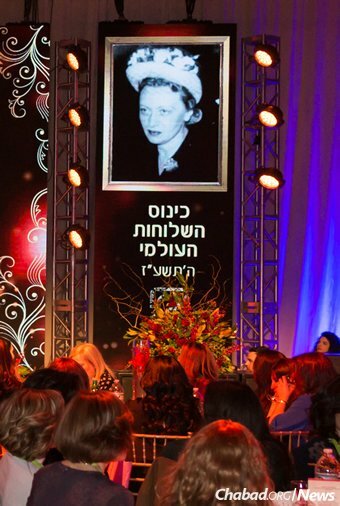 The Rebbetzin’s yahrtzeit holds special meaning every year for the more than 3,000 women from every part of the globe who gather to learn, get advice, share stories, and reunite with family and friends. The 30th anniversary is an especially poignant reminder of how the Rebbetzin remains an ongoing role model for the shluchos and Jewish women everywhere. 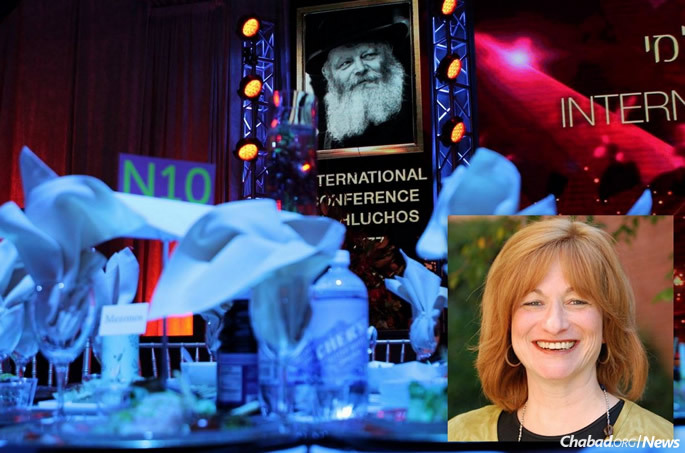 “What better example do we have than our Rebbetzin, Rebbetzin Chaya Mushka?” asks Mariashi Groner, co-director of Chabad of Charlotte, N.C., who will present the keynote address at the closing gala banquet on Sunday night. She will speak about being “Soldiers of the Rebbe” and how it is every emissary’s job to bring the Jewish people together—to find every Jew, no matter where that person lives, and to help each and every Jew make a dwelling place for G‑d. Throughout the conference, which takes place from Feb. 7-12, participants will attend workshops catering to their areas of expertise, including the operation of summer and winter camps, preschools, Hebrew schools, campus Chabad Houses, community Friendship Circles and more. Broader topics on tap for all include Torah study and the examination of Jewish law (halachah); advice on raising children when Chabad families are often the few (or only) observant families in town; and methods for deepening connections with local Jewish women and their communities. Women also share which events have been successful in the course of the past year, and how other programs can be added or improved. There is also a mentoring aspect, where women can sign up to talk with experts in specific fields for guidance and support. Among the many services offered are a resource fair, babysitting and even matchmakers available to help unite singles. New this year is the option to attend a Friday-night farbrengen at eight locations around the Crown Heights neighborhood in Brooklyn, N.Y., where the conference takes place. (They are spread throughout the area so that women won’t have to walk more than two blocks to attend.) The multigenerational panels will share their thoughts and open up the discussion to any topic; this allows for a more intimate opportunity for attendees to speak. It’s also an opportune time for encouragement and support. Speakers will discuss the conference theme: “Make for me a sanctuary and I will dwell amongst them”V’asu li mikdash vishachanti bitocham (Exodus 25:8). This was presented in a compilation of talks (sichos) given by the Rebbe in 1992 to all of the women. The compilation is being reprinted for this year’s convention participants in honor of the Rebbetzin’s 30th yahrtzeit. Mariashi Groner, inset, will present the keynote address at the closing gala banquet on Sunday. Shemtov says she feels blessed to have the merit to assist in this convention. 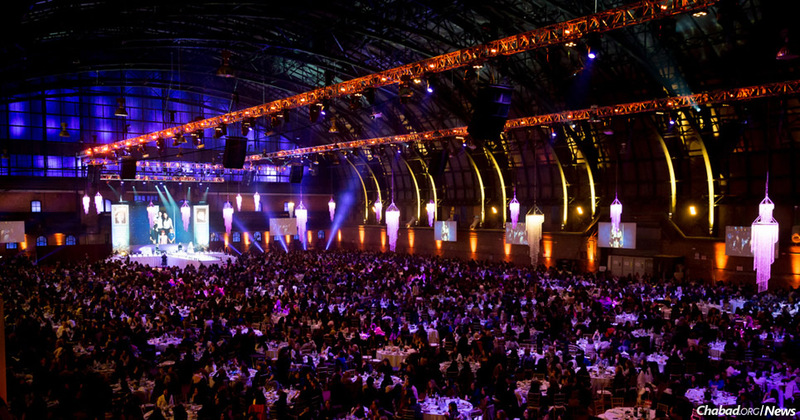 The conference concludes on Sunday evening with a gala banquet for some 3,000 emissaries and their guests. To watch the event live, click here.